Moonstone Farm in Montevideo was the backdrop for The Keep the Hives Alive Tour stop in Minnesota River Valley. 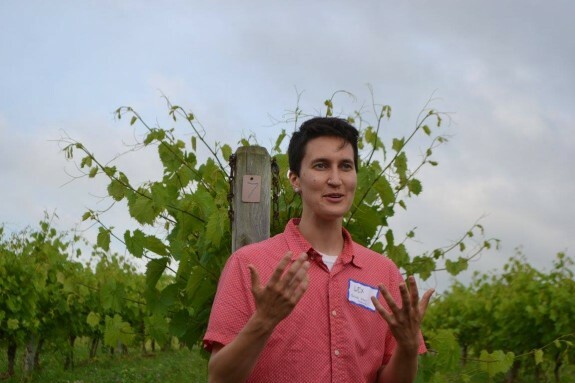 CURE and partners hosted the event on the Richard Handeen-Audrey Arner farm where diversified, sustainable, and holistic farm management has taken shape as a result of decades of planning and strategic design. Pollinators find refuge on this perennial permaculture amid a hostile landscape of row crops and chemicals. 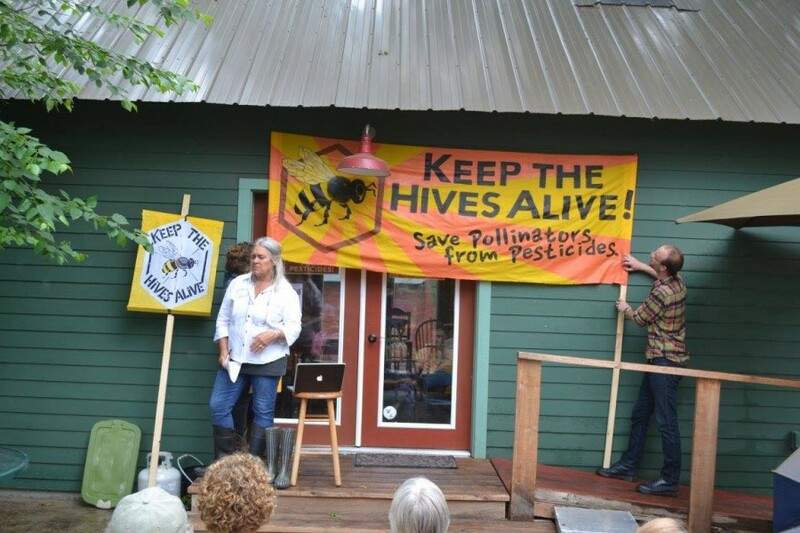 The Keep Hives Alive Tour crossed the United States during pollinator week bringing attention to the plight facing both commercial and native pollinators and how toxic pesticides contribute to their decline. 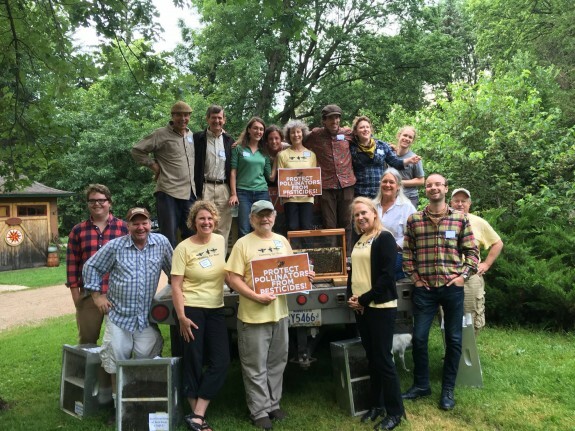 Beekeeper James Cook, of Bird and the Bees Honey in Barrett, MN, is at the center of the tour driving a truck full of over 2 million dead bees to the Environmental Protection Agency in Washington D.C. 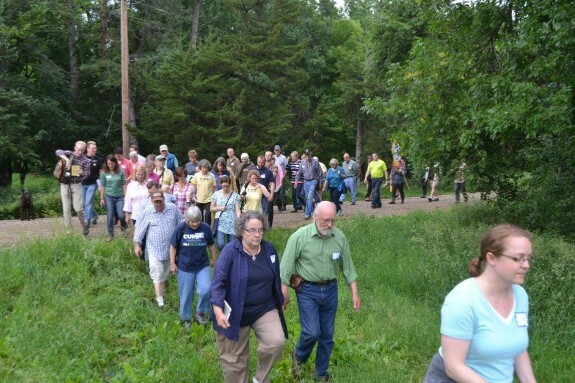 CURE joined James, along with Land Stewardship Project, the Pesticide Action Network, Pollinate MN, Humming for Bees, and members of the Shoreview City Council (who became the first Pollinator Friendly Community in Minnesota) to talk to over 60 visitors to Moonstone. 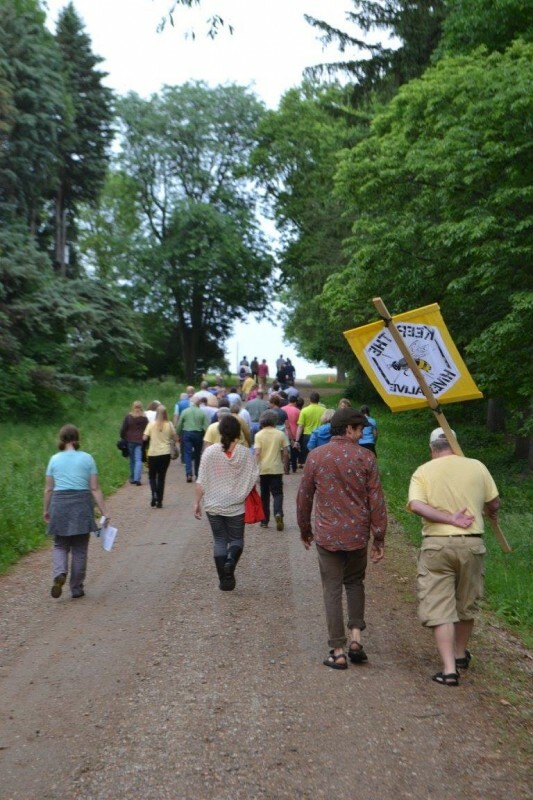 The group toured the farm and discussed how to defend pollinators through community action, policy change, and corporate accountability. Minnesota beekeepers lost over 50% of their hives in the 2014-2015 season. Native bees are similarly in decline. 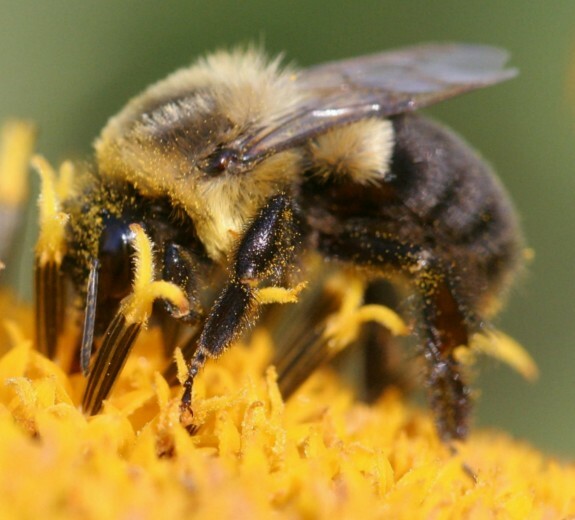 A 2015 study found that 139 counties in Minnesota — primarily in the western part of the state — are facing a shortfall of wild bees, which means that crops like soybeans, vegetables and fruit are likely not getting the pollination they need for maximum yield. Research indicates that multiple factors are causing pollinator decline, including pesticides, habitat loss, and diseases and parasites. 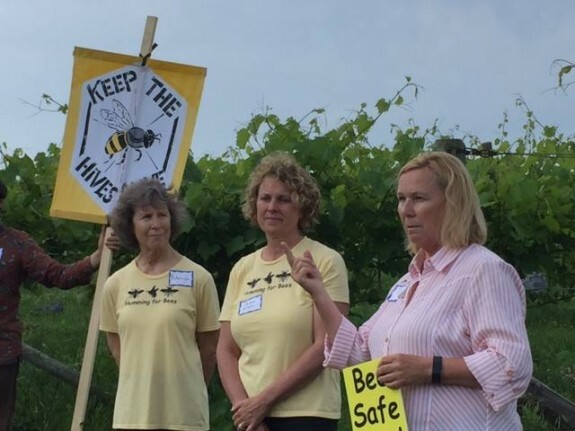 While the Minnesota legislature failed to pass legislation to protect pollinators from pesticides this session, Tuesday’s event highlighted regular people — farmers, volunteer naturalists, beekeepers, gardeners and city leaders — who are doing their part. To date, 22 Minnesota cities, counties, campuses and school districts have passed resolutions to become “pollinator-friendly” by eliminating the use of systemic insecticides and planting new pollinator habitat. Shorewood, Minnesota became the state’s first pollinator-safe community when it passed a resolution in July 2014. 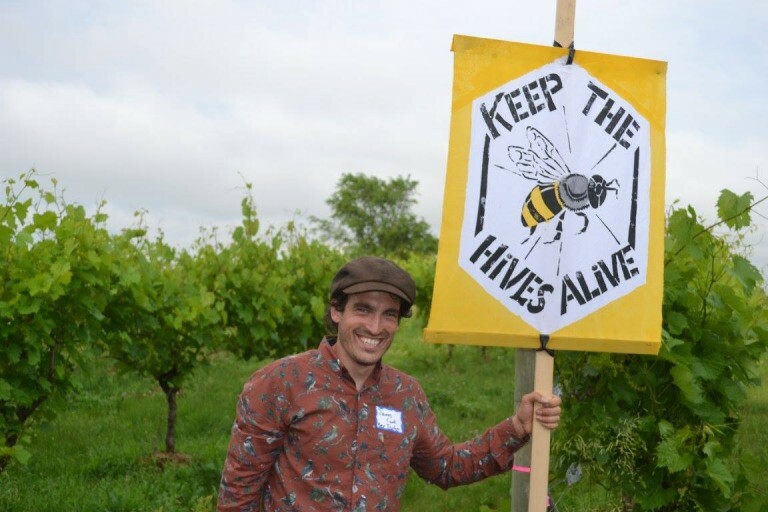 After Minnesota, the Keep the Hives Alive tour continued cross-country, ending in Washington, D.C. with a Congressional briefing, rally and lobby days to urge the EPA, the USDA and Congress to take action on toxic pesticides and support sustainable agriculture. Confronting the multitude of pollution issues caused by industrial agribusiness is no small feat, as CURE has learned over the past 25 years, and we’re glad to be making new connections with partners in this effort. It also gives us an opportunity to take an intersectional approach to the work, for pesticides not only harm pollinator populations but also impact water quality and impact human health. The Minnesota stop of the Keep the Hives Alive tour was organized by CURE (Clean Up the River Environment), Moonstone Farm, Pollinate Minnesota, Land Stewardship Project, Pesticide Action Network North America, Organic Consumers Association, Friends of the Earth, Center for Food Safety, and Pollinator Stewardship Council. Check out the Op/Ed written by CURE’s Executive Director Duane Ninneman that was in the St. Cloud Times.